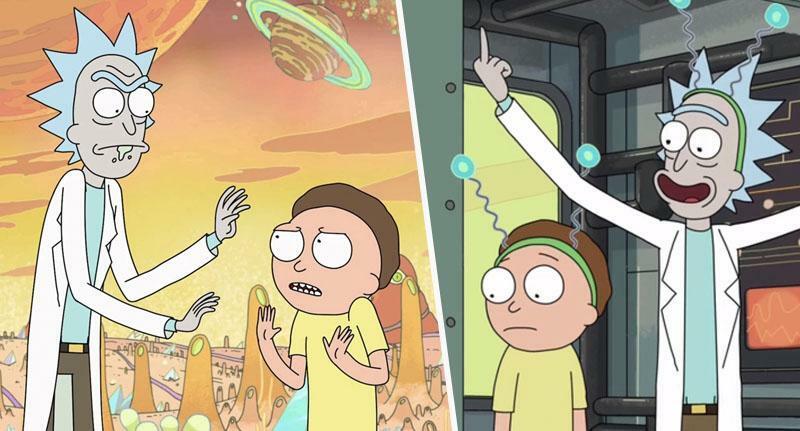 Good news for Rick and Morty fans who aren’t fans of streaming services! The hilarious animated series is now coming to Channel 4. The channel announced today (January 14), a new series of the Emmy award-winning show will premiere exclusively on Channel 4 in the UK, with season one-to-three being broadcast on E4 from February this year. As well as Rick and Morty, a whole host of Adult Swim’s shows will be coming to the network this year. Wubbalubbadubdub! This is the first time ever the popular show will be available on free-to-air UK television. It comes as part of a partnership which will also see hundreds of hours of Adult Swim content being made available to stream for free on All 4, too. The addition of Rick and Morty to Channel 4 will also be accompanied by the UK premier of Robot Chicken: The Walking Dead Special on E4. The additions to the UK channel will be the first of a regular ‘Adult Swim hour’ on E4, which will showcase episodes from various Adult Swim programmes, as well as full boxsets being available to stream on All 4. The free service will bring more than 300 episodes to its streaming platform at launch, with more being added over the next three years. Adult Swim will become its own ‘Featured Channel’ on All 4, alongside VICE and Walter Presents. We are incredibly excited to be partnering with Channel 4 to bring Adult Swim’s eclectic mix of weirdly wonderful and surreal shows to audiences here in the UK. In this unique collaboration with Channel 4, we are creating a branded destination that will reach fans, new and old, across TV and VOD, building on the huge success of Adult Swim in the US. In June last year, co-creator of Rick and Morty, Justin Roiland, confirmed he and Dan Harmon had started work on the highly-anticipated season four.